The Second Annual Champions for Children Gala (click here for photos) was held April 24, 2014 at the Grand Marquise Ballroom in Garner. Mr. John I. Wilson served as gala chair. NCFPSC honored five individuals and organizations as 2014 Champions for Children: Dr. June Atkinson, Dr. Yevonne Brannon, Attorney Melanie Black Dubis, Dr. T. Anthony Spearman, and the State Employees’ Credit Union. 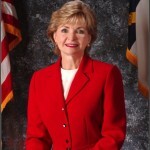 Dr. June Atkinson is the first woman elected State Superintendent of the Public Schools in North Carolina and has served in this position since August 2005. As State Superintendent, Dr. Atkinson understands the importance of improving teaching and learning, creating school environments that encourage student success, keeping education modern and relevant, and graduating every student career and college ready. Dr. Yevonne Brannon has been the Director of the Center for Urban Affairs and Community Services at NC State University since 1991. A former Wake County Commissioner, Dr. Brannon is founder of several nonprofit organizations that advocate for an excellent public education system that include Public Schools First NC and Grate Schools in Wake. 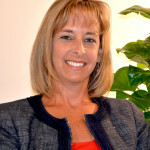 Attorney Melanie Black Dubis is a partner at the law firm Parker, Poe, Adams & Bernstein, LLP, where she began her law practice in 1995. Ms. Dubis has represented parents and school boards from Hoke, Halifax, Robeson, Cumberland, and Vance Counties in the case of Hoke County Board of Education, et al. v State of North Carolina, which is also known as the Leandro case, after the lead individual plaintiff. These districts – among the poorest in the State – alleged that the State Defendants had violated their constitional and statutory responsibilities to provide adequate and equal educational opportunities for the children in Plantiff counties and other low wealth counties. In what it later described as a “landmark decision,” the NC Supreme Court held in 1997 that the State Constitution entitles each child in the State to the opportunity to obtain a sound education. 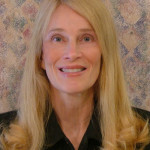 With her law partner, Robert W. Spearman, Ms. Dubis tried the Leandro case in 1999 and the trial court ultimately held that the State Defendants had failed to carry out their Constitutional duties, including those to at-risk preschool children, and ordered the State to remedy the deficiencies. 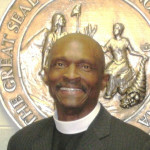 Dr. T. Anthony Spearman, an ordained minister with the AME Zion Church denomination, is pastor of Clinton Tabernacle AME Zion Church in Hickory, NC. A member of the City of Hickory Board of Education, Dr. Spearman is a plaintiff with the NC Association of Educators against the State of North Caroilna and North Carolina State Educational Assistance Authority. The civil action is a state consitutional challenge to the private school voucher program passed by the General Assembly in 2013.